A dog can be a man's best friend, but they can also pose a challenge when it comes to keeping your home neat, tidy, and damage-free. Dogs can scratch floors, make a mess on the carpet, tear up your furniture, steal your favorite socks… and the list goes on. There's no doubt that being a dog owner is fun – after all, who doesn't enjoy having such an enthusiastic best friend hanging around all the time – but taking care of a pet requires thoughtful planning and preparation. By following these tips, you can plan ahead, making your home dog-friendly so that you can avoid any potential headaches later on. Start with the basics: a dog-ready home will feature a solid floor. You'll need to consider the nature of your dog and whether they are likely to run, scratch, and scuff the floors – dogs are playful creatures, so the tougher the floor, the better. 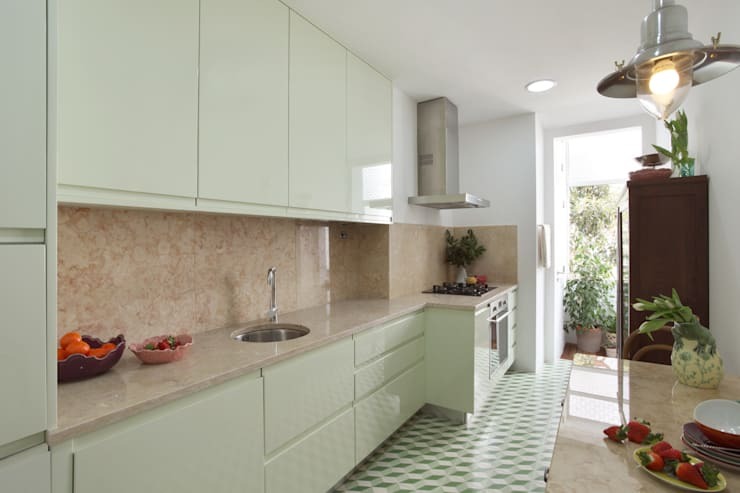 The ideal floor would be tile or concrete, non-absorbent, and resistant to wear and tear. Another option is to invest in a floor covering like linoleum that you don't mind replacing every few years. Carpets are often out of the question when it comes to puppies (who tend to have accidents) and long-haired dogs (who tend to shed like crazy). A rug or carpet can often become the source of bad habits for your dog – once they learn that a carpet is a tempting place for mischief, it's hard to tell them otherwise. Remove your rugs and carpets lest they become a source of headache – and hours of scrubbing – later on. Every dog owner knows that taking care of a dog involves several trips outside per day. Make your entryways as convenient as possible, and install a storage container, shelf, or rack where you can hang items like dog leashes, plastic bags, toys, and other items you'll want at a moment's notice when it's time to take the dog out. Just as humans love to frequent the same friendly diners over and over again, dogs benefit greatly from steady routine. 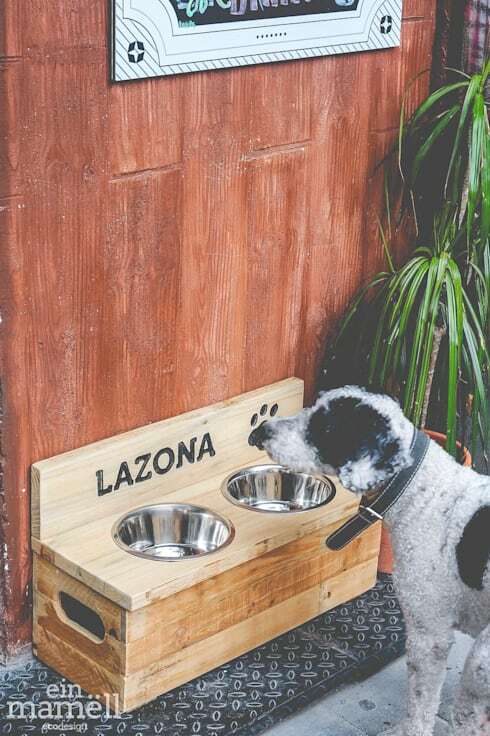 When you're planning out your dog-friendly home, take some time to consider where their permanent feeding area will be. This should be a spot that's far enough away from the human dining room to make a clear distinction between your dinner and theirs! It's also a good idea to elevate their dishes, as this trains the dog that eating off the ground (a.k.a. eating things they come across in the street) is not okay. While some dog owners love snuggling with their furry friend, many don't! 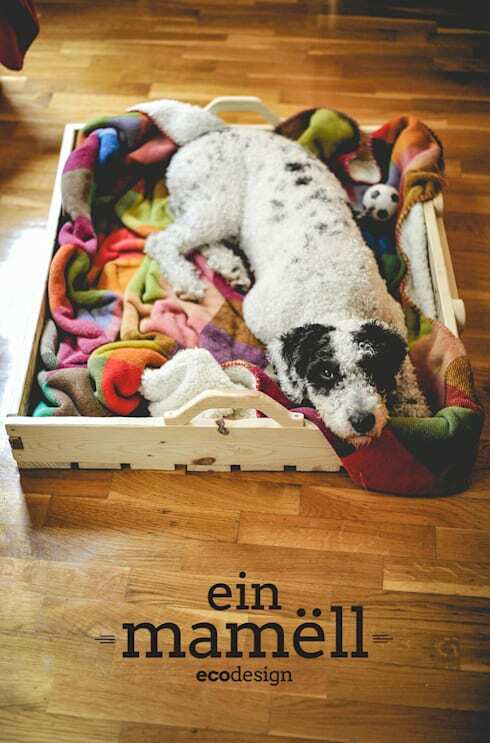 Creating a dog bed can be as simple as using an old drawer or crate and filling it with a fuzzy blanket (perk: this is also a lot easier to wash than a poofy, plush dog bed). Make sure your pooch has a spot to snuggle that's not too cold and not too warm – in the summer months, it may be best to switch out the fleece for something a bit more temperature-appropriate. If you're thinking of adopting a dog, it's helpful to take a look at your bathroom first. 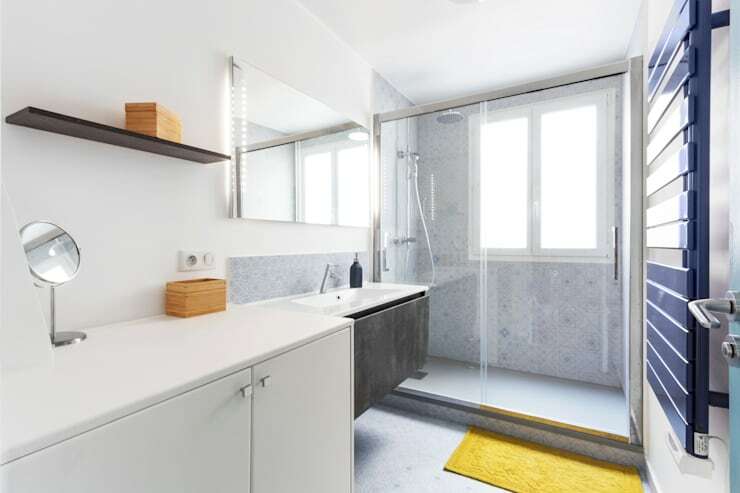 Is it a bathroom where it will be easy for you to give your dog a bath? For larger dogs, you may want to purchase a crate or step stool for getting them in and out of a tub. You'll also want to make sure you've got a good drain cover on your shower's drain, as bathing a dog can put a lot of hair down your pipes if you're not careful! Just as a mother and father baby-proof their home by getting special locks for their cabinets and picking up small choking hazards from the floor, you must also dog-proof your home! Dogs often take interest in items like cords, shoes, leather purses, plush items, and objects that have strong smells. A wagging tail can also target fragile items like tabletop vases or cups left out on the coffee table. When planning for a dog, you'll need to make sure that the items you'd like to keep safe are truly out of reach and that any foods your dog may take interest in are in the fridge or cabinets. This goes for the bag of dog food as well! No need for a stomachache from overindulgence! Along with dog-proofing your items, you'll want to consider your dog's items. You may have small stuffed animals or fetch toys for playing with your dog – make sure that these toys are located in a space that conveys play time to your pet – keeping these items in your office, for example, may encourage them to start encroaching on your workspace. Keep the toys in a basket or box in a consistent spot so that you can train them to use their toys at the appropriate playtimes. 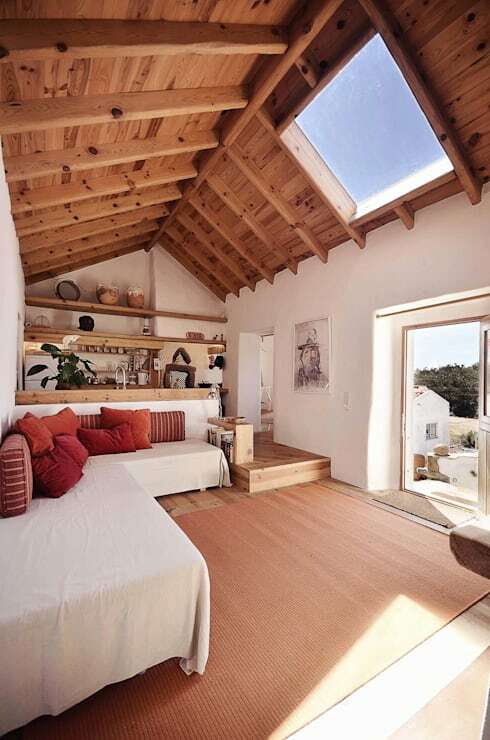 If you're looking for tips on cleaning up your space, have a look at this ideabook. What do you think of these dog-friendly tips? Share your insight below!